From time to time I find myself facing a new configuration of vRealize Automation. And since I don't do it very often I also find myself having forgotten some steps. For this reason I will write down my typical integration of NSX with vRA. security for workloads is ensured using distributed firewall and security tags (but more on this in another post). As stated earlier, NSX is already configured, DLR and ESG deployed. Let's see how to configure vRA. Logon to the tenant as IaaS Administrator. Ideally, you would have IaaS Administrator + Tenant Administrator roles assigned to your account so you don't need to change between roles. 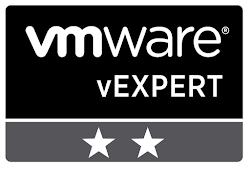 We need to create vSphere endpoint, fabric group, business group, NSX endpoint, reservation. on General tab: give it a name (vcenter1), add the URL of vCenter Server API (https://vcenter1.mydomain.local/sdk, add credentials and Test Connection. If all good, press OK and you have created your endpoint. Now the compute resources are available (Infrastructure > Compute Resources > Compute Resources). Check on the compute resource that data collection has run successfully - hover on the compute resource and from the menu choose Data Collection. Starting with vRA 7.3 there is a new role for Business group - Shared access role which can use and run actions on resources deployed by other users in the business group. It is a good addition since I remember a client wanting this back in 2015. And we are set: we have compute, storage and network resource available for consumption. 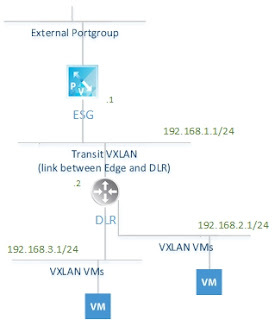 In the next post we will create a service and see how we consume NSX on demand.